No, not my three favourite Beatles, but rather three of their tracks which have, well, they’re Beatles songs, you can’t put it down to one adjective. I’m also going to include a few honourable mentions. Kind of goes against the three theme, but I’m not sorry, they’re Beatles songs. I’m also not going to provide links to the songs. They are all fairly easy to get, and finding them is part of the fun, as you find other great tracks by them. The track that starts off their last studio album (Let It Be was released later), is melody at its finest. I get transported into a different zone listening to that bass line, and the drum rolls. When John’s vocal kicks in, with it’s “Shoot me”, you’re off on the start of a great journey. The Abbey Road album from which this track comes is my favourite. To have put out an album like this, with all that was going on in the Beatles world at the time is pure genius. Even to this day the B side of this album is still one of the greatest album sides to drum along to, and challenging too. I still tap out the drum solo any chance I get, drum kit or not. 2. Baby You’re A Rich Man. One of the lesser known Beatles tracks, that kind of got lost in all the great music they put out. It was the B side to All You Need Is Love. A powerful vocal, a bass line that had the needle jumping off the record, anda great track that shows the different writing styles between John and Paul, that still work together for a great song. 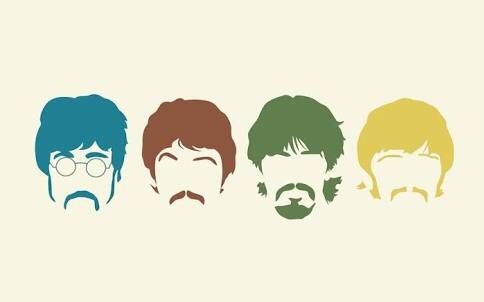 John had the verses, Paul had the chorus, and together they just worked. I always liked this track, that was until someone played me the Phil Collins version, claiming it to be one of the best covers ever. They obviously had no knowledge of music. It was then I listened to the trackside by side and I realised just how much more intricate the Beatles version was, and just how great this song is. Utter chaos that is also a feather floating in the breeze. The Phil Collins version reminded me of one simple fact. It doesn’t matter how good the technology of the day is, you just can’t beat raw talent. Helter Skelter: Hard rock at it’s finest. Turn it up to 11. In My Life: I used this as a wedding song. Such a waste of such a beautiful song. Taxman: When George’s song writing really took a big leap forward. Rain: Many people make fun of Ringo’s drumming as simple. But here’s a test for you, play just the drums from any song by anyone, and see how many of them you can pick from the drumming alone. Rain is a perfect example of drumming perfection. Any Beatles Song: Seriously. You may think some of the lyrics are cheesy at times, but their brilliance as musicians, the technological advances they made in studio recording, the volume of their work despite all that is Beatlemania, just shows how good they were as a band. Image by hal-2012 of DeviantArt fame. Used without permission.